The holiday season is a challenge when you are carrying debt. We get tips from 3 experts on how to tackle your finances and the stress during the holiday season. Reduce the credit limit on your credit card. That’s good advice, because the lower the limit, the less you will be tempted to spend over the holiday season. Quit complaining, or fire your bank. It’s a Canadian past-time to complain about bank fees, so Gail offers a simple solution: go to your bank and ask for a better deal. If you don’t get what you want, shop around. You need to understand what services you use, and find a bank that will give you the best service for your unique situation. When you find a better bank, fire your old one! Make memories out of Christmas. That’s great advice. Instead of focusing on how many gifts you can buy, and how much money you can spend, focus on making memories, which often have no cost. When Heather meets with clients she asks them “what are your best memories of Christmas?” In most cases they’ll talk about decorating a tree, going out and looking at lights, going skating, going tobogganing. Those activities are virtually free! Everybody puts so much pressure on themselves to spend money at Christmas, but your best memories are probably the activities that you have shared with family and friends. Doug Hoyes: Welcome to a special holiday money tips edition of Debt Free in 30. I’m Doug Hoyes and since it’s the holiday season, we’ve got a special show for you today. On most of our shows I have one guest for the entire 30 minute show. Today I’ve asked some of our previous guests to give us some advice for money management and spending over the holidays. This is not a best of show where I replay a bunch of clips that you’ve already heard before. This is all new information that I think would be very useful. I’ve got three guests lined up today. In the second segment Heather Cudmore, a credit counsellor, has some very practical tips for spending over the holiday season. At the end of this segment Gail Vaz-Oxlade returns with a great tip about how to deal with your bank. You’ll enjoy this tip because if you know anything about Gail, you’ll know she’s not a big fan of paying big fees to your bank. And at this time of year, every dollar you can save is a great thing. But first, I’m very pleased to welcome back to the show Dr. Lee Anne Davies, who was my guest on our second show. 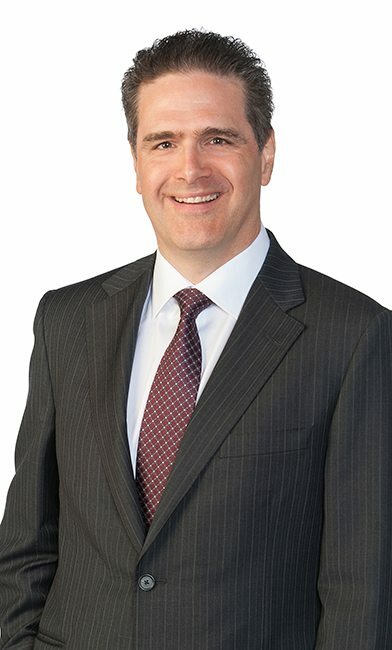 Dr. Davies is the author of When Life Bites you in the Wallet – Taking Control of your Finances. It’s a book that has lots of practical advice and you can find a link to her book and lots of other information in the show notes on hoyes.com. Dr. Davies still holds the record for the most educated guest we’ve ever had on the show. She has a Master’s Degree from The University of Waterloo and she also has an MBA and a PHD as well as many years of experience working in the financial sector as an employee and consultant for insurance, wealth management, banking and financial education companies. Dr. Davies has studied how debt impacts our lives, and I think during the holiday season it’s a very timely topic. We all want to buy lots of gifts for our friends and family and the temptation is to use credit cards to do it. That leads to debt and that may not be a good plan because debt leads to stress. Or does it? There’s some research from the United Kingdom that measured psychological well-being and debt. I would have assumed that the study showed that the more debt you have the more stressed out you are, but interestingly that’s not the case. So, since Dr. Davies is familiar with that study I asked her to tell us what the studies show about the relation between debt and our sense of well-being and what debt does to us personally. Lee Anne Davies: Hi Doug. Yeah, I was very interested in understanding what debt is really doing to us as a person. And the psychological cost of debt can be quite high. But what’s interesting is it depends on the type of debt. So, consumer debt is going to cause us some significant psychological cost. Credit is so easily obtained and as debt levels rise, our psychological impact is really felt, our well-being, our sense of well-being goes down. As credit card limits rise, our debt rises, our well-being goes down. There’s a neat combination. But when we look at mortgage debt, it’s not the case. So, as we take on mortgage debt, our sense of well-being actually starts to go up. And that does make sense because a mortgage for us is getting the house, right, building our family around it, our lifestyle around it and so forth. It’s that bricks and mortar that we’re all comfortable with and we feel proud of. So, it does make sense to take on mortgage debt, as long as you can manage it of course, with all of the other aspects of your life and how your life will change. The trick I think in all of this is to watch that credit card debt. And my tip of the day for you would be lower your limit on the credit card. It’s the best way you can protect your sense of well-being. If you lower the limit, you’ll lower your spending and your well-being will go up. Doug Hoyes: And how do you do that? You just phone your credit card company up and say, hey lower my credit limit? Lee Anne Davies: It’s as easy as that. Doug Hoyes: So, you figure out how much of a credit limit is reasonable and don’t let the credit card company keep jacking it up, which they do over time if you keep making your payments, they keep jacking it up. So, your tip is the more consumer debt you have, so you’re talking about things like credit cards, unsecured lines of credit, those are the things that put pressure on your psyche, make you feel all stressed out. So, if you want to be less stressed, have less of that debt and one of the ways to do that is to actually take the step of reducing the limit on your credit card. Lee Anne Davies: Exactly. You’re taking control of things and you’re going to feel a lot better for it. Doug Hoyes: Excellent. Thanks very much for that tip. Lee Anne Davies: My pleasure. Doug Hoyes: So, that’s interesting. The impact of debt depends on the type of debt we have. Consumer debt causes us a lot of stress. Credit card debt hurts us. But mortgage debt actually makes us feel better because there’s a house attached to it. That doesn’t mean you should go out and get a huge mortgage. In fact it may mean the opposite. Your mind can trick you into believing that a big mortgage is a good idea. 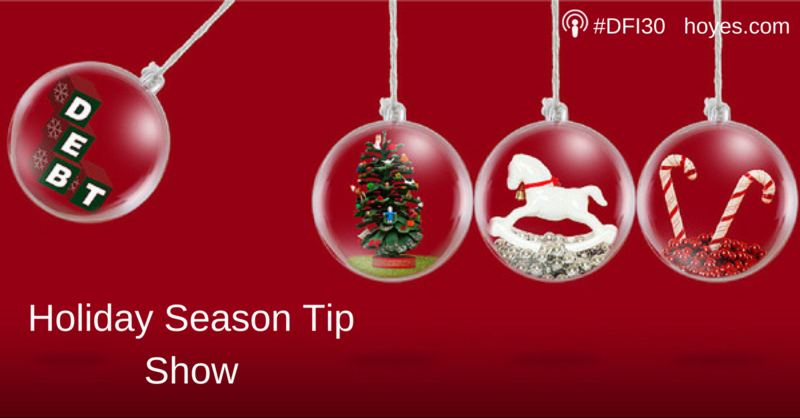 So, our first tip, on our holiday tip show, is to lower your limit on your credit card so you can’t overspend. As Lee Anne Davies suggests, get on the phone to your bank and ask to have your limit lowered. So, what other tips are there to deal with your bank? Well, I’ve got the perfect person to answer that question. Gail Vaz-Oxlade. Gail is the host of three popular television shows, Till Debt Do us Part, Princess and Money Moron. And I’m proud to say I was a guest expert on each of those shows. She’s written 12 books and in her latest book, Money Rules, she goes through 261 different rules to help you manage her money. Many of her rules are the opposite of what you’d expect. For example her first rule is “renting is not a waste of money”. That’s interesting because conventional wisdom is that you should always own a house, never rent, because you don’t want to be paying someone else’s mortgage. Gail makes the point that owning is fine, but if you have limited cash for a down payment or if you have lots of other debt, you’re probably better renting a smaller place and not burdening yourself with a huge debt load. I’m guessing the banks would prefer that you get a mortgage instead of renting but that’s not Gail’s worry. Her rule number 90 is, “quit complaining and fire your bank”. Here’s what she means. Gail Vaz-Oxlade: Okay, so people – it’s a Canadian pastime to complain about our financial institutions. We like to talk about the crappy service we get, we like to talk about fees that we’re paying, we like to talk about the bad advice we were given. And they did a T.V show about the advice, that financial advice, that’s given. It turned out it was really crappy. So, the complaints sometimes are quite valid. The thing is that there’s not any benefit in whining. So, if you’re serious about the fact that you don’t like your financial institution, take some steps to show them that you don’t like them by moving your money. You know, the best way you can communicate to a financial institution that you are unhappy is to move your money. Doug Hoyes: And isn’t that a huge hassle though? I mean I’ve got all my pre-authorized payments set-up, I’ve got my pay cheque going in, all my payments, that’s a big hassle is it not? A, values me as a client, doesn’t treat me badly. C, offers me a way to reduce my costs as much as possible. And if you can find that in a financial institution, you’re good. Doug Hoyes: So, how do I know if I should fire my bank then? Is it simply a matter of cost, they’re charging me too much? Or are there other things that would be trigger points that you would be looking for? Gail Vaz-Oxlade: Well, you know Doug, it’s funny because people are under the impression that banks should keep their services free and I say well because they don’t need to a make a living as well? Realistically you should have to pay. You might have to pay something for your services. There are financial institutions out there, that tend to be non-bricks and mortar ones that will give you an account for free, a chequing account for free. Alternatively what you can do is you can keep enough money in your account to reduce your fees to zero or buy the package that works for you with the lowest possible cost. But it means you have to be aware of what you’re using. So, for example I have a chequing account at a bricks and mortar bank cause I live in a small town and I don’t have access to some of those others. And it costs me four dollars a month. I’m not going to whine about four dollars a month, Doug. That’s fine. But I’ve watched people with financial institutions, I look at their statements and they have 200 dollars worth of charges. And I think to myself really? You couldn’t find something else to do with 196 of those dollars? Doug Hoyes: Yeah, so the starting point is you take a look at your bank statement for the last few months and say, what do I use in terms of how many cheques do I write, how many deposits do I make? Am I banking online? Is it all electronic? And then I guess you start by going to your bank and saying, hey I want a better deal. Doug Hoyes: And then you have to shop around and see if there is a better deal that you can have. And obviously there’s deals if you’re a young person, if you’re over a certain age or whatever. You look at all those things and decide what’s the best. Gail Vaz-Oxlade: That’s exactly what you have to do. It means you have to be as smart about shopping for your financial institution because they are a service provider, as you are about shopping for anything else. So, people will go out of their way to save 30 cents on a can of tuna, okay. But then what they will do is go to their financial institution and have a plan in place where every single transaction they do at an ATM that’s not theirs is going to cost them three bucks. Doug Hoyes: Yeah, we spend all that money on gas to save the can of tuna but then we’re blowing it on the ATM. So, either switch banks or quit complaining, that’s your advice. Gail Vaz-Oxlade: That’s my advice. Doug Hoyes: Great, thanks very much Gail. Doug Hoyes: I agree with Gail. There’s no benefit in whining. You have two choices, either stop whining or switch banks. Gail gave three criteria to look at when choosing a bank. Number one, do they value me as a client and don’t treat me badly. Number two, do they give me good advice and show me the products and services I should be using. And number three, do they offer me a way to reduce my costs as much as possible. You need to be aware of the services you’re using and then find the bank and service plan that gives you the best deal. If you write a lot of cheques, you may want a plan that gives you a number of free cheques every month. If you do all of your banking electronically, you may be fine with a non bricks and mortar bank that offers lower fees. So, Gail’s tip either switch banks or quit complaining. More tips after the break. This is Debt Free in 30. 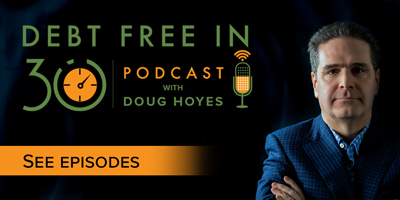 Doug Hoyes: Welcome back to this special holiday tip edition of Debt Free in 30. In the first segment Lee Anne Davies and Gail Vaz-Oxlade gave us some tips about how to save on credit card charges and bank fees. Those tips are great at any time of the year. In this segment I want to focus very specifically on the holiday season. So, let’s welcome back to the show a credit counsellor with a boat load of experience helping people manage their money. I’m joined now by Heather Cudmore of Mosaic Credit Counselling. Did I say get that right Heather? Heather Cudmore: Yes, you did. We’re a program of Corizon Community and Family services. Doug Hoyes: With a head office here in Kitchener where we’re recording today. I’d like you to give me your best tip for people during the holiday season. So, you’re a credit counsellor, you deal with money and so give me something a bit outside the box. If someone is sitting in your office as the holiday season is approaching they’ve perhaps got some financial pressure on them, what’s the advice you give them? Heather Cudmore: My advice would be to make memories out of Christmas. When clients come into my office I may challenge them and ask them what are their best memories of Christmas? And they’ll talk about decorating a tree, going out and looking at lights, going skating, going tobogganing. Do you know all those things don’t cost money? And everybody puts so much pressure on themselves to spend money at Christmas but your best memories are probably the activities that you’ve done. So, again my best tip for Christmas, make memories out of Christmas. Doug Hoyes: Which is interesting because we all think of the big holidays, Christmas being the obvious one, but the holiday season in general, as a time where I’ve got to go out and buy presents because that’s what we remember, the kids ripping open the wrapping paper on Christmas morning kind of a thing. And I guess when you think about it, I think yeah the kids remember ripping open the wrapping paper but they don’t necessarily remember what was in it. Heather Cudmore: I had a younger brother, actually ten years younger, and for one Christmas we just wrapped a whole bunch of boxes up and had him ripping paper off. And it could have been – it was a match box, it was something that he owned before that was in those boxes. He didn’t care what it was. Doug Hoyes: The old re-gifting thing. Heather Cudmore: Yes, it started a long time ago. And yeah it was more thrilling just to have the gift ripped open. He could have cared less what was in it. Doug Hoyes: Yep. And I know with our kids when they were younger and when you first have kids, well we’ve got to get them lots of stuff cause that’s what you’re supposed to do. And after they’ve opened a couple of presents, they want to play with that present, they don’t want to now have to open this and that and the other thing. Heather Cudmore: How many of your kids ended up playing with the boxes? Heather Cudmore: You could have saved yourself a whole lot of money just by going out to a furniture place and getting an old great big box and bringing it into your living room. And that was your Christmas present. Doug Hoyes: And well for the people who are listening I think that’s a good exercise. Think back to when you were a kid, unless you’re a kid right now, then think back to last Christmas I guess, and ask yourself what are the memories I have of Christmas or in fact any holiday? What are the memories I’ve got? Now we probably all can remember one or two gifts that we got and that we really wanted and we really liked and enjoyed for many, many years. But you probably got a few gifts every year for many years, how many of them can you actually remember? And I think your example of the memories is an excellent one. One of my memories of Christmas, and I think it was probably Christmas morning, was my sister, who’s five years younger than me so at the time she was probably, I don’t know, 2, 3, 4 years old. She came into my parent’s bedroom on Christmas morning and she said, I can see reindeer tracks in the snow. Cause it had actually snowed I guess the night before. And sure enough we looked out the window and there were all these prints in the snow. And she was really excited that there were reindeer tracks. And so when she left the room my dad, he was kind of half asleep, sort of rolled over and said, oh I guess Sam the dog next door must have got out. And obviously had run across the field and made tracks. But there’s a perfect example of what you’re talking about, right, a memory that didn’t cost anything. I’m sure my sister doesn’t even remember it but I remember that time at Christmas when that thing happened. And those are the kind of memories that you’re talking about. What other kind of memories do you see people remembering that didn’t cost a lot of money but the kind of things that people still remember? Heather Cudmore: In our family socks. You always got a sock in your sock at Christmas. Doug Hoyes: One sock or two socks? Heather Cudmore: Well, two socks, a pair. It was a pair of socks. You know it had got to the point where you knew you were trying to be creative. You know the year I decided to learn to knit. Yes, I knit a sock. Doug Hoyes: And I assume it doesn’t cost a lot of money to knit socks. Heather Cudmore: You can use old yarn. Doug Hoyes: And even buying socks, that doesn’t cost a lot of money either. Heather Cudmore: Nope, nope, nope. Doug Hoyes: And that became a tradition then, that every year we get a new pair of socks. Heather Cudmore: We hunted around for the most unusual pair of socks. Doug Hoyes: And yet you probably never spent more than five bucks on a pair and that was it. Doug Hoyes: So, there you go. There’s a classic example of a memory that doesn’t cost a huge amount of money. When we think of all the other types of things we do at the holiday season, going tobogganing, going skating, there’s lots of free skating you can do during the winter at outdoor rinks and things like that. You know, hikes in the woods or whatever. Those are the kinds of things we remember. You know, baking. Heather Cudmore: The family and friends, you’re right. The baking. Having family over and you know one person also doesn’t have to be responsible for the whole meal. Do a potluck. And you know, yes you usually end up with twice as much food if the potlucks are anything like our family. And yeah, family and friends, spending time together, arguing, fighting over the couch, watching the fireplace on TV. Doug Hoyes: Oh, that’s classic, the fireplace log channel on TV. And that’s kind of a tradition at our house too. We’ve actually put the fire on and the fire log channel on as well. Heather Cudmore: Does it get warm in that house? Doug Hoyes: Yeah, it does, absolutely. The T.V can – actually I think that’s the only time we watch TV all year long. But it’s a classic, so. No, I think you’re exactly right, and what we’ve got to do is think of those things that are memories, that are fun that we will remember. But they’re not going to cost us a whole boat load of money. Great I really appreciate you being here today Heather, thanks very much. Doug Hoyes: Make memories out of Christmas. That’s great advice. I’ll be back to wrap up the show after this quick break. You’re listening to Debt Free in 30. Doug Hoyes: Welcome back. It’s time for the 30 second recap of what we discussed today. On today’s show we had three guest experts give tips for the holiday season. Dr. Lee Anne Davies’s tip is to reduce the maximum credit limit on your credit card. Call your credit card company and ask them to reduce your limit to what you need and nothing more, so, you aren’t tempted to overspend. Gail Vaz-Oxlade’s tip is to quit complaining or fire your bank. Instead of complaining about high bank charges, find a new bank or at the very least ask your current bank for a better deal. Heather Cudmore’s advice is to make memories during the holiday season. It’s not about the gifts you buy, it’s about the memories you make. So, what’s my take on this? As a bankruptcy trustee I can tell you that every year it’s the same. Our Hoyes Michalos helpline at 310-PLAN is quiet during December. But the phones start to ring on January 2nd and the keep ringing through the winter and into the spring. Why? In a lot of cases it’s because of holiday season debt. When the credit card bills start arriving in January and you see what you owe, that’s when you realize you’ve got a problem. So, here are my holiday season tips. First if you want to avoid the credit card hangover in January, don’t use credit cards at Christmas. Pay with cash or use your debit card. That way you can only spend the money you have and you don’t have any worries about getting into debt. Now I get it. You don’t want to be carrying a wad of cash to the shopping mall and you get points if you use your credit card, so I understand why most people do their holiday shopping with a credit card. That’s fine, but if you’re using a credit card, have a budget. Decide before you go to the store how much you can afford to spend and stick to it. That way you spend within your means and stay out of debt trouble. As Heather Cudmore said, make memories. It’s not about the gifts you buy, it’s about the memories you make. That’s our special holiday season tip show. I’m interested in hearing your tips. So, feel free to post your comments or tips on our website at hoyes.com, where you can find a link to subscribe to this show on iTunes. And you can also access our show notes, a transcript of this show and links to everything we discussed including links to the books written by Lee Anne Davies and Gail Vaz-Oxlade. Their books make great holiday gifts.